While Thomas-Graham was launching a secondary career as an author, her primary career was undergoing some changes. By 1999, Thomas-Graham wanted to take on new challenges and to run her own organization. 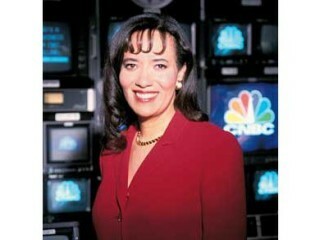 That year, she was hired by NBC as an executive vice president as well as the president and chief executive officer of CNBC.com. This move made her the highest-ranking female executive in charge of an NBC division. She was the head of all of CNBC's Internet-related activities. Thomas-Graham was charged with turning the CNBC website in particular into more than a means of promoting the cable business network. The corporation wanted to make CNBC.com a vital source of financial information and a place offering related services. Within two years, the website was winning awards and attracting more than four times the number of visitors than before Graham took over. A Darker Shade of Crimson, Simon & Schuster, 1998. Blue Blood, Simon & Schuster, 1999. Orange Crushed, Simon & Schuster, 2004. - Corporate Executive of the Year, Black Enterprise magazine, 2001.